Living in the mountains can have some unexpected and sometimes unusual hazards. Most of these are not "deal killers." But, a good Realtor can help identify some tests and special home inspections a prudent home buyer should have before its too late. After the inspection period in the Contract to Buy and Sell real estate lapses, all real estate in Colorado is sold as-is. Recently, I was working with a buyer purchasing a beautiful new French provincial home on 8 acres of land near Evergreen, Colorado, a Denver suburb. The buyer is planning a long-term family compound, prepared to purchase adjacent acreage as it comes available. The Seller, originally from the east, had lived in the home for less than a year and needed to move because of poor health. Home inspection tests resulted in a radon gas report 3 times the EPA's maximum recommendation. Radon gas is an invisible, odorless gas that can increase risks for lung cancer. With a son and daughter-in-law, plus 3 young children temporarily moving into this home along with the buyers, inspectors suggested that radon and uranium tests for presence in water be performed. When the specialist arrived, he said, "No surprise here - We all Live on Melting Granite. 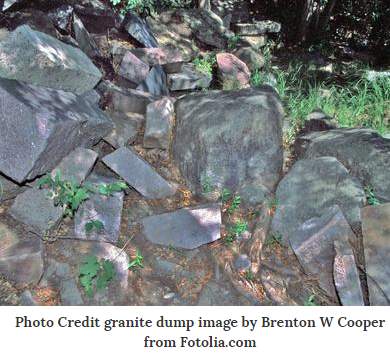 " Radon is the gas from decaying uranium residing in the rock and soils of the Rocky Mountains. The gas seeks an escape in fractures in the rock. Incidentally, fractures are also where mountain water resides. When you take a shower the gas clings to the droplets of water making the radon easy to inhale. In this case, uranium and radon results in water were extremely high too, so air and water mitigation systems will be installed. This is not to scare you. The EPA has standards for very good reasons. I guess this is just a short lesson in the importance of spending that extra buck for a thorough professional inspection. Realtors want you to be happy in your new home. But even more, we want you live long and healthy lives.